I created a forum for this course to provide a place for all of you to ask questions and communicate with the class. You can post questions here but be sure to watch all of the videos first and there is a good chance the information included in a subsequent video. Also, feel free to answer any of the questions posted here. I encourage all of you to share your knowledge! 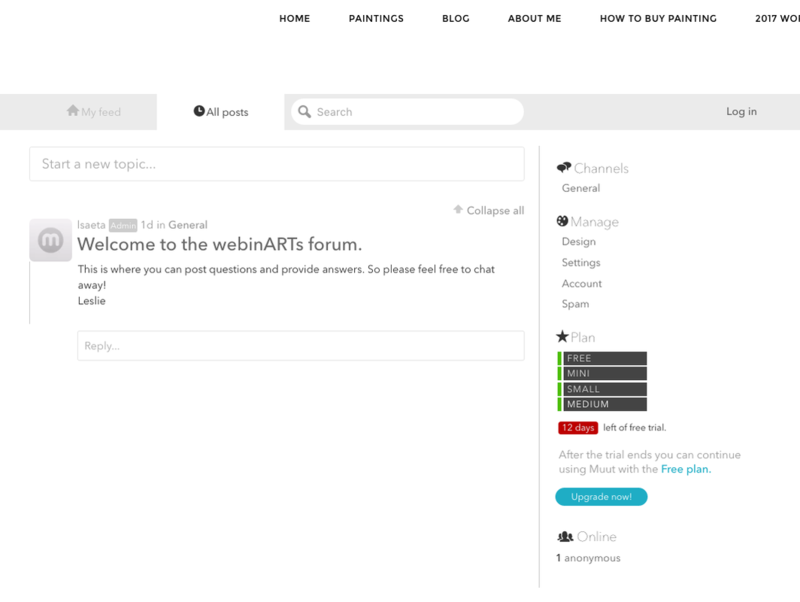 ​I added this forum using an app that can be added to the weebly site builder. The one I used is called Muut. I am not going to show you how to build a forum. Rather, i am going to show you how to use our forum. Just create an account to participate in the forum. It's super easy and is a great place to communicate with other members of the class.